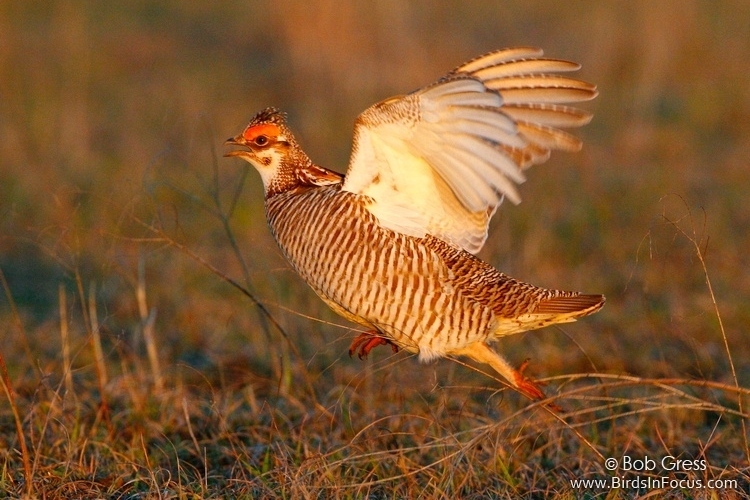 An advocate for prairie conservation. AOK is an uncompromised leader for the conservation of prairie dogs and associated wildlife in the central Great Plains, as well as an organization unparalleled in support for landowners who want to protect and conserve these and other native prairie species on their land. This summer, AOK led a partnership of dedicated individuals and organizations to rescue and relocate over 200 prairie dogs from Nebraska's easternmost prairie dog colony to the Hutton Niobrara Ranch Wildlife Sanctuary in northern Nebraska, owned and managed by AOK. Learn more in the video and articles below. Your contributions will help to ensure that these prairie dogs continue to thrive and AOK can continue to fight for the conservation of prairie dogs and associated wildlife and habitat, as well as the rights of landowners to choose to coexist with other species on their land. Audubon of Kansas (AOK) occasionally sends out emails with news, analysis, updates, and alerts on current issues and campaigns. 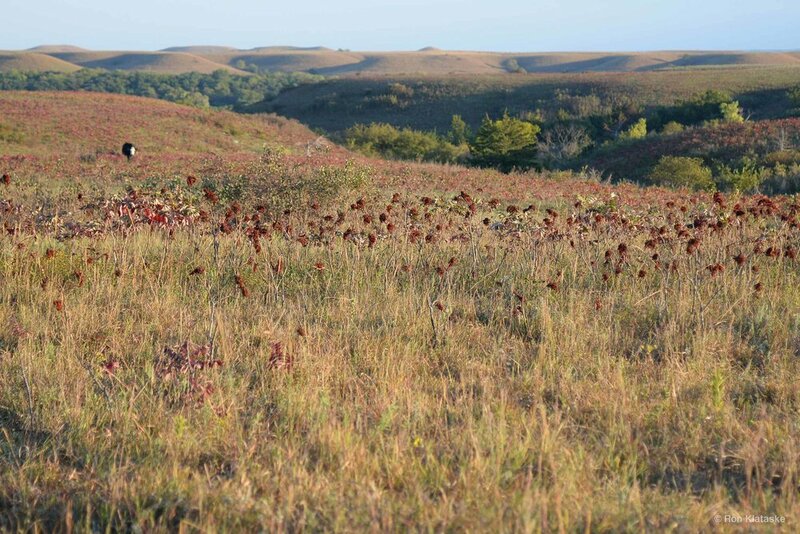 Subscribe to stay informed about our work and important threats facing wildlife and habitat in Kansas and the central Great Plains. Our goal isn't to fill up your inbox, but to provide you with occasional timely news and analysis that you value. Writers of the Prairie is a new collection of writing by Audubon of Kansas members, supporters, and guests. 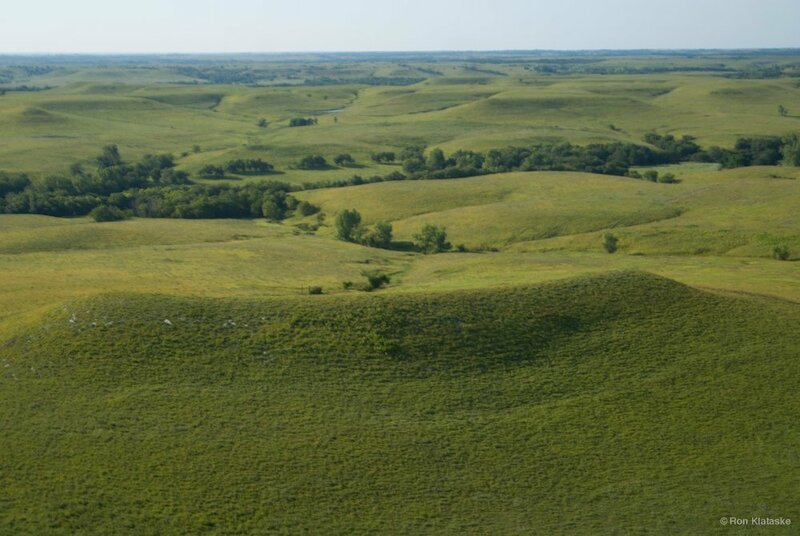 It aims to provide diverse and unique perspectives on a range of topics including ecology, conservation, philosophy, literature, and life in the Great Plains. To propose an opinion, story, poem, other writing, please contact us. Prairie Wings is a publication of Audubon of Kansas, Inc. — the only widely distributed magazine devoted specifically to statewide conservation and wildlife advocacy initiatives. It is made possible by your generous support and contributions. We encourage you to share this publication with friends, family, and other organizations. Please feel free to leave copies in reception areas, hospitals and other business locations to help spread awareness about critical wildlife issues. Audubon of Kansas (AOK) owns and manages three unique wildlife sanctuaries. More sanctuaries are planned for the future. These sanctuaries are made possible by donations of lands and contributions to support stewardship. The goal of AOK’s Sanctuary Initiative is to build an archipelago of sanctuaries that helps conserve land, preserve legacies, and provide opportunities for public enjoyment and education. The Niobrara Sanctuary is a 5,000-acre ranch and wildlife sanctuary located along the Niobrara National Scenic River near Bassett, NE. It consists of spectacular scenery, including upland prairie, steep canyons, woodlands, and high bluffs that overlook meadows, marshes, and riparian forest along the river, which forms the Sanctuary’s northern boundary. Two guesthouse provide opportunities for visitors to experience the diverse wildlife and dark skies. This 240-acre property is a very special central-Kansas farm in Lincoln County. 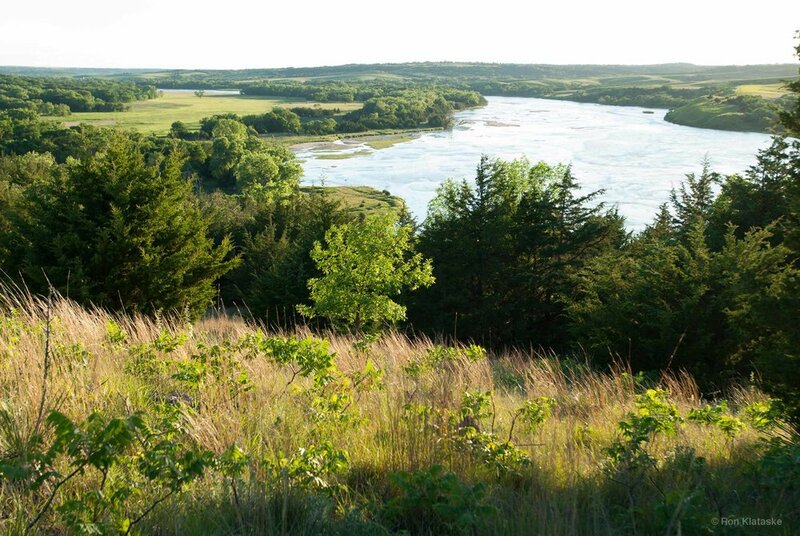 Creeks meander through substantial forest and diverse habitats that were once common on Kansas farms. AOK has planted filter strips of native grasses and wildflowers along the edge of every field. 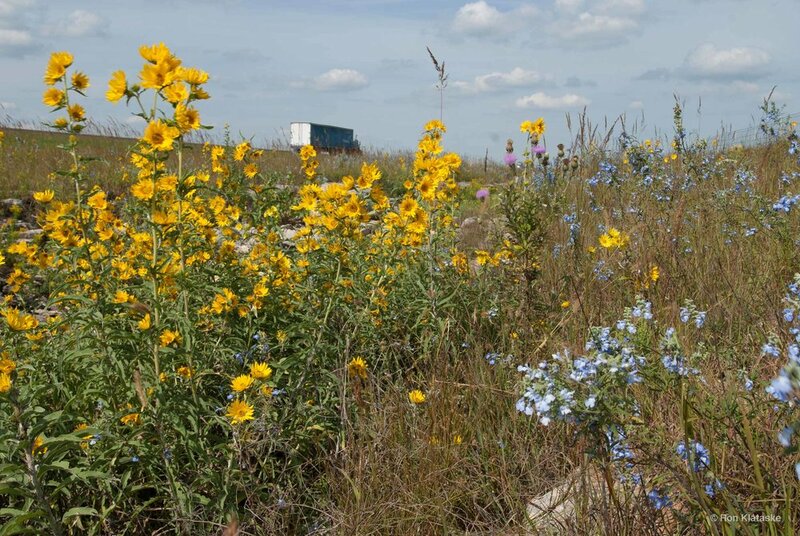 Pollinator habitat complements an eight-acre remnant prairie meadow. Brown Thrashers, Wild Turkeys, kingbirds, woodpeckers, and wrens are among the regulars. The 47-acre Mt. Mitchell Heritage Prairie is located three miles south and a half mile east of Wamego, Kansas. This prairie remnant is associated with Captain William Mitchell, a key figure on the Underground Railroad prior to the Civil War. Changing arrays of wildflowers are in bloom throughout most of the growing season, and the historical nature of the property makes it a destination at any season. Trails extend to the summit of the prominent hill. 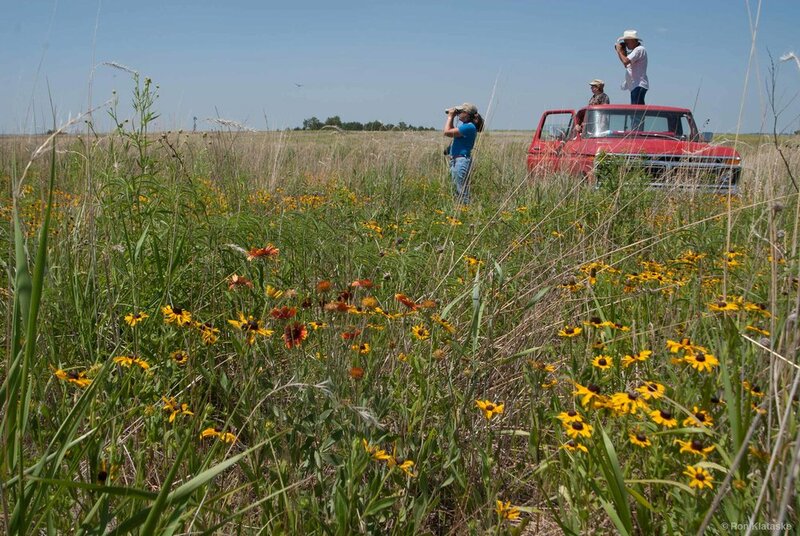 There are many ways you can work with Audubon of Kansas (AOK) to ensure that your land is managed in perpetuity to benefit biodiversity, preserve natural habitat, reflect family history, and maintain the characteristics of a wildlife-friendly working farm, ranch, or other property.